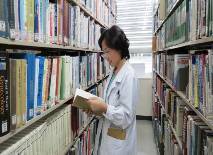 10 well-experienced doctors were dispatched to Japan from the Health Department of Jiangsu Province of the People’s Republic of China (hereinafter referred to as “China”) to learn Japan’s medical technology and medical service system. They stayed in Japan from September 1st to November 28th 2012, and went through an intensive training program for about three months. 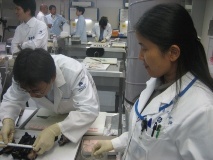 This training program was conducted as a part of the Friendship Cooperation Agreement concluded between the Health Department of Jiangsu Province and JICE in April 2012. As our first project, 10 promising Chinese doctors were selected among the group of people 8 times larger to come to Japan. During the first week we conducted a program highlighting the medical service system in Japan, check-up system for the private sector, medical drugs, approval system for medical equipment, paramedic system, welfare program for elderlies, and manufacturers for medical equipment. Plus, we had a Japanese language class for 3 days. From September 10th through November 26th 2012, 10 doctors were divided into three groups, and sent to three different hospitals and studied under the advisor of each facility. The facilities they were sent to were as follows; National Cancer Center, Tokyo Metropolitan Komagome Hospital, and Tokyo Women’s Medical University. 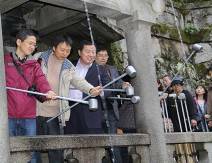 They also had a time to experience various kinds of Japanese Culture program during their 3-month stay to deepen the understanding of both Japan and the Japanese Culture. The day before they went back home, the Chinese doctors gave a presentation to show the outcome of the training program. Each doctor expressed what they have achieved through the program and their goals in the future. They also exchanged views with their Japanese counterparts from the medical institutions who were involved in the training program. We thank all of the medical institutions and advisors who have supported us through this program. All 10 trainees have acquired significant amount of medical knowledge and we have successfully managed to complete all of our training process. Hereafter, we will further collaborate with the Health Department of Jiangsu Province of China to develop more medical projects. 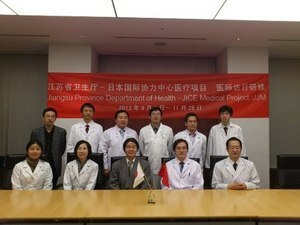 We hope that the friendship between Japan and China will be deepened by doctors from both sides coming together, and that this project will help generate more opportunities for interactions in the medical field.